Hey, before we get to the show, just a favor. We'd like to better understand who is listening and how you're using podcasts. So if you can help us out, please complete a short anonymous survey at npr.org/podcastsurvey. That's one word. It takes less than 10 minutes, and it really helps support the show. That's npr.org/podcastsurvey. STEVE HOLMES: I decided to invest in some fundamental research. And I wanted to ask myself one question - did any retailer in America believe that trampolines were dangerous and so dangerous that they wouldn't sell them? The answer was, yes, and that was Costco. The CEO of Costco was a man named Jim Sinegal, and Jim said, I will not sell trampolines. HOLMES: And so I made it my mission to try and sell Costco a trampoline. RAZ: From NPR, it's HOW I BUILT THIS, a show about innovators, entrepreneurs and idealists and the stories behind the movements they built. I'm Guy Raz, and on today's show, how a shy New Zealand professor with a crazy invention and a Canadian businessman who believed in its potential teamed up to create Springfree, what they call the world's safest backyard trampoline. RAZ: So you might remember a while back we did an interview with James Dyson. And Dyson, of course, is the inventor of the Dyson vacuum cleaner. And he described how he came up with his vacuum. He worked in his backyard shed. He built prototype after prototype after prototype, testing and perfecting his invention. And for a lot of inventors, that's a familiar story, right? Finding a problem, tinkering until, finally, a solution. But the next part of the Dyson story, the part where James Dyson manufactured the vacuum cleaner, scaled his business and then became one of the wealthiest people in the U.K., well, that's not exactly the typical inventor story because for a lot of inventors, the end goal is the patent, the patent that someone else will buy and take to market, because a lot of times inventors don't have the time, or resources or ability to go into business themselves. So today on the show, we're going to do something a little different. We're actually going to tell two stories - the story of one man, Keith Alexander, who invented a safer trampoline, maybe even the safest trampoline ever, and then the story of Steve Holmes, the man who took that invention and made it into a commercial success. Because even though Steve and Keith aren't technically business partners, Springfree Trampoline couldn't have been a success without one or the other. Keith Alexander grew up in New Zealand. His dad was an engineer. And at first, Keith wasn't really sure what he wanted to do with his life. So he joined New Zealand's version of the Peace Corps. And for a while, he worked as a grade school teacher. But then he decided to go back to the University of Canterbury in Christchurch, and he found that he actually really enjoyed engineering. KEITH ALEXANDER: Yeah. So I started doing my engineering degree at Canterbury and suddenly realized that was what I loved. I wish somebody had told me many years before that I was actually an engineer. I found I could get As there quite easily. So I did a master's and then did a Ph.D.
RAZ: And were you - like, were you the kind of engineer who just always loved to tinker in, like, a tool shed? Like, were you always tinkering away at things? ALEXANDER: Well, yes, I was always tinkering, especially through my Ph.D. and had a workshop then. RAZ: You always had a workshop? ALEXANDER: Always had a workshop. RAZ: You had, like, a bench with tools and equipment? ALEXANDER: That's right. A bench - I'd put up a bench somewhere if it wasn't there. I had these tool racks that I made with all the tools on it, and I could take them off the wall, pick them up, take them somewhere else. RAZ: What would you do? What would you do make? ALEXANDER: Well, I made all sorts of things - did an art exhibition. I made a six-foot mousetrap for that art exhibition, a collapsing chair. I made walk-on-water shoes. In fact, I funded myself through my Ph.D. by winning walk-on-water competitions. RAZ: Wait, sorry. Let's break this down a bit. What's walk-on-water shoes? ALEXANDER: Walk-on-water shoes are - Radio Avon, which was the radio in Christchurch at the time, put up this competition, a walk-on-water competition, $1,000 prize. RAZ: Wait, so - sorry. They said to their audience, hey, we have a competition. If you can figure how to walk on water, we'll give you $1,000. ALEXANDER: That's about it. That's about it. ALEXANDER: At that time, my father had been developing some walk-on-water shoes in Auckland. He and I had been playing around with it because we had a dinghy, and we'd been figuring out how to do this. So that's our tinkering in the garage. You need some flotation. ALEXANDER: The competition put limits on how big these flotation things could be. ALEXANDER: So it ended up being you weren't allowed to have anything longer than one meter. And it was - didn't take much for an engineer to work out how big a piece of polystyrene had to be so it could carry your whole weight. RAZ: ...With that device that was balanced, that would allow you to kind of, you know, hover on the surface of the water. ALEXANDER: ...The first big step. And the solution is put your feet on the bottom. ALEXANDER: So you cut a hole in it, and you put a bit of plywood on the bottom so your feet go right through to the bottom. And then it stays upright by itself. RAZ: Oh, so the polystyrene is around your ankles? RAZ: And you invented this? ALEXANDER: Yes. My father and I invented this. We had to make it fit the competition. So I flew back from Auckland, where I'd gone to stay with my parents, and I built these shoes to compete in this competition. And I managed to win the competition two years in a row and then won a third one in Auckland. And that helped fund my Ph.D.
RAZ: Because you got a thousand bucks. ALEXANDER: Yeah. Back then a thousand bucks was quite a lot more. It's more like 5,000 now. RAZ: Wow. So what were some other things that you came up with, or you tried to invent? ALEXANDER: Well, for the art exhibition, we had - there was quite a few there. One of my enduring experiences was having a haircut during my Ph.D. at university. And this young, ditzy lady was giving me the haircut. And she said, do you realize you're thinning on top? It was really embarrassing. So I thought, that would be a good thing for young guys to have because you can never see the top of your head. So I made this bald patch inspector, is what I called it. It was a couple of mirrors. So you look in one mirror, and you can see in the other mirror. And you could move the levers, and it could adjust the mirror so you can see the top of your head. RAZ: The top of the head. You could stand in front of the mirror, move a lever. It would reflect the other mirror, and it could show you the top of your head. ALEXANDER: Exactly, yeah. And you could see whether you're going bald. RAZ: So what did you do once you finished your Ph.D.? ALEXANDER: Well, at first, I thought if I want to come back into academic life, I really need some engineering experience. I don't think I'm a valid teacher of engineering unless I've got some engineering experience. RAZ: So with a Ph.D., you decide, I've got to go out into the world and get some experience before I can come back and teach. ALEXANDER: Absolutely. That's right. So I moved back to Auckland and got a job in an engineering consultancy. RAZ: What kind of work did you do? ALEXANDER: I started off as a valuer. They wanted a valuer. ALEXANDER: I knew nothing about what valuation was. ALEXANDER: ...And how old it is. ALEXANDER: And after two weeks, I was getting pretty good at it. ALEXANDER: After two weeks, they found I could do other things as well. Working for a consultancy got a variety of things. This - it was quite a bit of insurance work. There was crash investigations. There was a bit of court work as well. So it was quite a broad range of stuff. But I wasn't particularly happy with it because it all comes down to the money. In the end it's all, how much have you been able to invoice this week? ALEXANDER: And I really like spending time on things, putting more time into it and thinking it through properly. RAZ: This is, like, I guess, the mid-1980s. RAZ: You were late 30s, early 40s. ALEXANDER: I got married in 1985, yes. So it was while I was at the engineering consultancy in Auckland. RAZ: And did you have kids pretty soon after? ALEXANDER: Yes, about 2 1/2 years later - 1987. RAZ: Your first child was born? ALEXANDER: First child was born. RAZ: How many kids do you have? RAZ: So my assumption is, you are doing consulting work. You've got a young family. And this is probably a pretty steady lifestyle, like - right? RAZ: So when you would come home from your consultancy - consulting job, would you come home and go into your - the work bench area and tinker and build things? ALEXANDER: Much to the regret of my wife, yes. She - took her a while to get used to that. RAZ: So you were like the mad scientist in the back garden, working on your crazy ideas. ALEXANDER: Not all the time. Not all the time. One of the early ones was a magnetic flying machine, which was supposed to use the Earth's magnetic field to fly. But I was very proud of what I did, but it didn't work. RAZ: Do the laws of physics actually support that idea? ALEXANDER: Yes. In the end, one of the best ideas would be to go to the South Magnetic Pole and put a big ring of conductor material around the magnetic field there and put a huge current through it. And that would actually fly into space. RAZ: Wow. But it's kind of hard to get there (laughter). ALEXANDER: Yeah, it's not a very good place for a spaceport. RAZ: It sounds to me that - like what really motivated you was just this idea of trying to solve problems, like - is that right? Like, is that how you would explain it? ALEXANDER: That's pretty good, yes. If other people haven't been able to solve it, I want to solve it. That's a real challenge to me. That's something that excites me. No one else has done this. I want to do this because no one else has done it. RAZ: So - OK. So what - like, what was it that eventually, like, made you start thinking trampolines? ALEXANDER: Well, when I was a kid, I'd loved the trampoline. I just loved the idea of being in the air. But you couldn't buy a trampoline in those days, unless it was a gymnastics trampoline. And we had one at the school. And in the gym class, you get 30 kids there. And we had to get on, jump three bounces, seat drop, get off, the next person. That was it. That was my jumping. RAZ: And you loved this thing. ALEXANDER: And I loved this thing. Yes. RAZ: You could only get three jumps? ALEXANDER: Yeah, and that really frustrated me. So when they started to become available in the shops, and I had a young child, I thought, right, we're going to get one of these. ALEXANDER: Of course. She's only 18 months old. ALEXANDER: But, you know, let's start her young. And then I'll be able to bounce on it too. And so I said to my wife, you know, we've got to get a trampoline for Katie. And she said, no, I take her to play center. They don't have a trampoline at play center. They're just too dangerous. RAZ: And this is in, like, 1989. ALEXANDER: This is 1989, yes. ALEXANDER: And she said trampolines are not safe. I think, all right. Well, I'll just prove her wrong. I'll look at the research and see what I can find. So I looked at the research. And sure enough, even in New Zealand there'd been some research done on the increase in injuries from trampolines, and I thought, well, they really are dangerous. Maybe I can do something about it. I'm an engineer. I should be able to do something about this, and that's when it started. ALEXANDER: Damn it, my wife is right. RAZ: But you wanted a trampoline, and you wanted one for your daughter. ALEXANDER: So I had to think of a way around that. ALEXANDER: So I thought right, well, if I can design one, I'm sure a trampoline is pretty simple. Surely, I can design - I've got a Ph.D. in engineering. ALEXANDER: And I love designing things like this. Surely, I'll be able to do it. So let's design one that she'll accept, and maybe we can even sell it. I don't know. RAZ: So take me back to that moment. You're thinking, I want to see if I can come up with a trampoline. Where do you start? I mean, do you - there's no Internet at the time. I mean, there's no easily available Internet. So how did you even start to think about how you would do this? RAZ: Or they fall off. ALEXANDER: Or they fall off. But the thing that probably hit first is the steel bar around the edge. That's the thing that impressed me most. I thought that steel bar, that's not fair. Let's see if we can get rid of that steel bar. That's a good step. ALEXANDER: So I'm thinking, well, inflatable things are soft. What if we replaced the steel frame with an inflatable ring, just like a big inner tube, and then stretch the trampoline mat across the top of that? Would that work? RAZ: Oh, I see. Like, a giant heavy-duty inner tube tire, and then you would have, like, the canvas inside of it, and the springy part would come from the inner tube. RAZ: Like a Zodiac but circular. RAZ: Inflatable rubber. So you actually, literally, made this. You stretched canvas over this giant rubber-tire-boat-dinghy thing, and you had your kids jump on it. ALEXANDER: That's right. So that's the first one. Then I thought, right, let's make a purpose-built one. So the one that we formally made, and I paid a couple thousand dollars for, just had the mat sewn into the top edge of this big ring. And that was good for the kids at the time. ALEXANDER: She was really happy with that. This is something the kids could actually pick up and cut around the back yard. RAZ: And this was, like - how big was it? ALEXANDER: That was about 8 feet across. RAZ: Air would come out? ALEXANDER: Yes, it was supposed to be airtight. It didn't matter how many times I'd pull it apart and try to find the leak. There's a problem - two problems there. The third problem - it just wasn't bouncy. I mean, I couldn't get any height on it. ALEXANDER: ...And you go I'm flying. RAZ: ...A foot off the ground, maybe 12 inches or something off the ground. ALEXANDER: When they're 3 years old, you don't want them jumping too high. So it was great. It was great for the kids to have it, but it wasn't what I wanted. RAZ: OK. So you start to realize that this thing is just not going to fly. This is not going to be the thing that - I mean, it could be fun for a while for the kids. But it gets deflated, and it can't jump very high and - anyway, you can't market this thing. So what do you do? Do you go back to the garage and start again? ALEXANDER: Well, around about that time, I sat down and summarized all the sketches I'd gotten, all the ideas I got 'cause this is not bouncy. I've got to come up with other ways of doing it. And I went through a whole range of ideas and came up with several quite complicated ways of using springs. So at this stage, I was working at the university. RAZ: ...Teaching mechanical engineering, I'm assuming. ALEXANDER: Yes. I had a contract - only a contract. It wasn't a full-time job, so it didn't have tenure. But I had a job there, and that meant that I could, for educational purposes, give students projects to do. ALEXANDER: So the final year of engineering, the students get an individual project that would go the whole year. So I put that up as a project. Here's an idea for making a trampoline completely differently with springs in a different way. What can you do - as a student, what can you come up with? RAZ: So just to get a sense of when this is, we're talking about the mid-1990s here - right? - like '95, '96, somewhere around then? ALEXANDER: ...With a fishing rod, that's going to bend. It it'll keep some tension on it. ALEXANDER: It's flexible. It will keep some tension on it. Maybe I could make one like that. RAZ: Well, then - out of that material. ALEXANDER: Out of something like fiberglass, like a fishing rod material. And I thought, well, if you stuck a fishing rod in the ground over there and you stuck another one over here and you tied something between them, you'd get the tension. But then they're sticking up. These things are sticking straight up. And if you're on a trampoline on the top and you fell on it - because they're vertical - if you fell right on the edge, you can impale yourself on them. ALEXANDER: So what if we laid them over so that they're 45 degrees? Then if you landed on them, they'd bend down. So that was the idea. RAZ: ...And angle it at 45 degrees in a circle, let's say, and stretch canvas over that and, essentially, that would be the trampoline? You would bounce on the canvas that was laid over these angled rods that were bendy. ALEXANDER: That's a pretty good description of it. RAZ: So you had students working on making, like, a prototype of this new trampoline design. But how big are these things? ALEXANDER: They made full-sized ones - 8-foot diameter. RAZ: And how'd it work using those, like, fiberglass fishing rods? ALEXANDER: The fiberglass rods, that seemed to work all right. That seemed to work all right - or certainly it was more bouncy than the inflatable one. So I was going in the right direction. RAZ: It had more promise. RAZ: So it wasn't exactly there yet, but it had more promise. ALEXANDER: Yes. You're right. I was thinking, I need to get a commercial person involved about this stage. I don't know how to commercialize it. I don't know whether it's gonna be commercial at all. I had no idea. Let's contact someone. RAZ: All right. I want to ask you about what I would imagine was a slight complication which is, at this point, you weren't Keith Alexander, backyard tinkerer. You were also Keith Alexander, professor at this university. What did that mean about all the work you did - right? - 'cause oftentimes - as is the case in the U.S. - when you work on something - the university - it's their property - if it's M.I.T. or Stanford or Harvard or wherever. ALEXANDER: Well, that's exactly right. What I'm supposed to be doing is publishing papers. ALEXANDER: But they did have this new policy that just came in a couple of months after I'd started. They said, if you come up with an idea that's commercializable, you've got to tell this new commercialization office that we've just developed that you've done it because it belongs to the university. ALEXANDER: And I thought, well, I have already thought of this. ALEXANDER: I've been doing this at home for a while. And now I've got a job at the university. Well, I can't commercialize it. I don't know how to do that. They say they know how to do it. OK.
RAZ: I'll sign the paper. ALEXANDER: I'll sign the paper. RAZ: So now, every idea you have, they own, which is not uncommon. ALEXANDER: It's not uncommon, so I went along with it. I'll let them have it. If they can commercialize it, great. So I took it to them, showed them. They said, oh, that's fine. That's a kid's toy - see what we can do. RAZ: They were not paying attention to you. ALEXANDER: They're not paying attention. That - what they wanted is something that's going to make millions of dollars. They don't really want a child's toy. RAZ: No. They want like a biotech something. ALEXANDER: Nanotech at the time was the thing. ALEXANDER: I was competing with nanotech. RAZ: They're like, enjoy your kid's trampoline. We're paying attention these guys working on nanotech. ALEXANDER: Yeah. So I looked in the yellow pages. I found the biggest trampoline manufacturer in New Zealand. He was selling 400 trampolines a year. I rang him up, and he said, yeah, I'm interested. Send me some photos. I'll be in Christchurch. I'll come and have a look. So he came, and I had them all there for him to try and have a look at. RAZ: He jumped on them? ALEXANDER: ...Because I always get people ringing me up on Christmas Eve saying, how do I assemble my trampoline? So you've got to sort that out. So if you can sort out those problems, I'll be interested. ALEXANDER: ...But all the other things we could do. And we found that there was another company in New Zealand that was quite a specialist in pultruded fiberglass. ALEXANDER: In fact, they had used it in - as a spring. And we were using it as a spring. ALEXANDER: And they were experienced with that. So we started forming a relationship with them. So we formed the relationship with them and this company who was making 400 trampolines a year. And we started to build some prototypes for customer trials - five prototypes for customer trials. RAZ: And how'd it turn out? ALEXANDER: Well, it was - I was pretty pleased with it. I thought we were going to market at this stage because I had a commercial person, I had - we had five products with customer trials. And the guys from the commercial arm of the university came along to have a look because there was a bit of ta-ra going on. ALEXANDER: They had a look at it, and they said, this is not market-ready. You need another $50,000, $100,000 to make it market ready. And then they went away. RAZ: The university said this. RAZ: And so what did that mean? ALEXANDER: Well, I thought that was the end of it really. I thought, I can't get $100,000 or $50,000. I thought it was market-ready but - I was very depressed. RAZ: And you needed the university's permission because they owned it. They owned the IP. ALEXANDER: They owned it. I didn't have to do any more. I was doing all this work supervising this and trying to get the money to support making these customer trials. ALEXANDER: Well, I thought so. But I always just like challenges. And my mother-in-law, she'd ring up to talk to my wife. And when she'd get me on the phone she'd say, and, Keith, how's that trampoline going? I hope you're still working on it. So this was an idea I really wanted to persist with. This is a problem in the world that needed to be solved. ALEXANDER: Parents can't buy a safe trampoline. I've got to do something about this. I'll decide to keep going. Around this time, the commercial arm of the university hired another person, and he'd actually taken product to market before. And he had a look around New Zealand trying to find if there are any investors in New Zealand that were interested. And in the end, he looked in Canada, found someone in Canada and said, Keith, we've got someone to Canada. We're going to send him a photo, and we'll see where we go from here. RAZ: When we come back, almost 15 years after Keith started tinkering on a new, safer kind of trampoline, he gets to see his invention finally come to market. Stay with us. 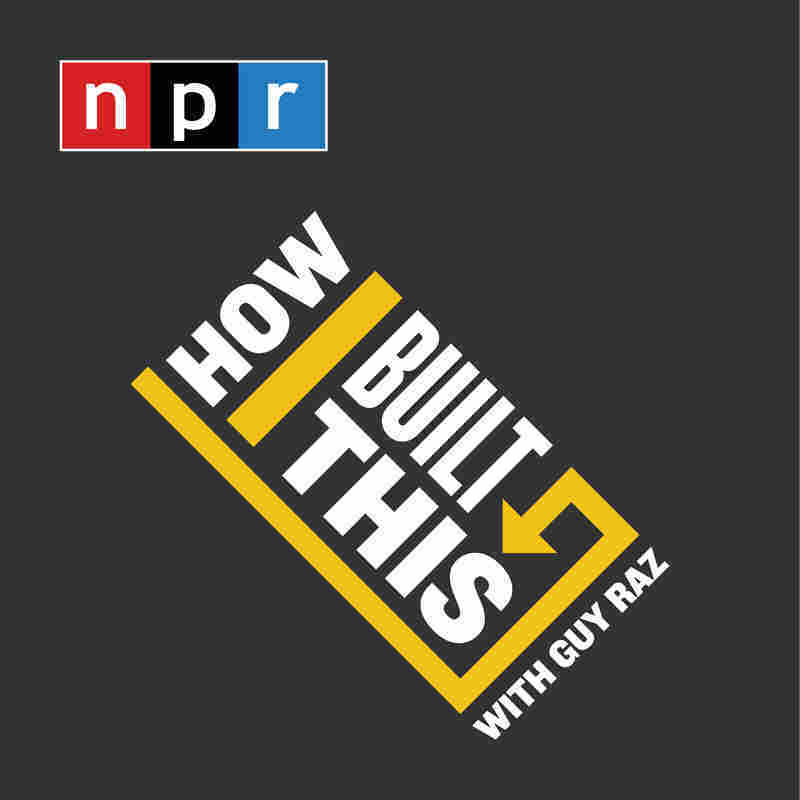 I'm Guy Raz and you're listening to HOW I BUILT THIS from NPR. RAZ: Hey, welcome back to HOW I BUILT THIS from NPR. So it's early 2000s, and Keith's university finds an investor who's interested in the trampoline. And his name is Steve Holmes. And at this point, Steve's in his mid-30s. He's living in Toronto, and he's already been involved in a couple of successful small businesses. So Steve know some investors, and he's got access to a little bit of capital. And eventually, Steve and Keith get on the phone to start discussing the details of Keith's invention. HOLMES: At the end of the phone call, I remember saying to Keith, OK, Keith, can you mail it to me? Can you send it to me - ship me the trampoline? HOLMES: Just ship me the trampoline. And there was a pause 'cause I think the money was an issue, right? You know, like, how am I going to ship the trampoline? Keith's probably trying to figure out - I said, I'll send you $10,000. Will you ship me the trampoline? And he said, yeah, I'll ship you the trampoline. RAZ: So, Keith, what do you remember about that call? It was similar - like, you were on the phone with Steve and you just kind of explained this invention to him? ALEXANDER: I find it pretty hard to remember. I was pretty anxious about anything like that. That call would have made me - would have freaked me out. ALEXANDER: And shipping something overseas - I didn't even know that you had to dial 001 to get to America first. One of the things that did make an impression though was Steve said, I'm sending you guys $10,000 so that you can do what needs to be done to get me information that I need and get me a trampoline. And I didn't have that sort of money. So when someone says, please ship it to the other side of the world, it's a big deal. And when someone says, I'll give you $10,000, that was a big deal. RAZ: So all right. So how long did it take for it to arrive, a couple of weeks? HOLMES: I think it was six weeks in shipping. I can't remember if we airfreighted or not. We at the time had a backyard which really didn't have any grass, so that was a problem. We had a patio. And so when I got it, it was a little overwhelming. So I assembled it. It probably took me about three hours and several bruises. And my kids, interestingly enough, at the time were 16, 14 and 12. And so my 12-year-old daughter jumped on it, and she loved it. RAZ: All right. So she's jumping up and down on this thing. And you realize from that, maybe there's something to this? HOLMES: You know, when it comes to good ideas, I believe you measure it by the reaction of the people you hope to sell it to. And there wasn't a kid in the neighborhood who didn't want to jump on it. RAZ: Everybody came to your backyard? HOLMES: Well, anybody that we'd let in (laughter). HOLMES: And so you get caught up in the enthusiasm of your kids. RAZ: You just had one really great trampoline in your backyard. RAZ: And so you have, presumably, a lot to consider before you'd invest the money in buying this patent. You had to find out how much it would actually cost to manufacture it because you had to model this out, whether this was going to be a viable business. Did you do that? HOLMES: We did. October of 2002, we had secured the patent with, effectively, a letter of intent agreement in principle. HOLMES: We had locked up some period of time. And first thing we did was we went to the Super Show in Las Vegas, Nev.
RAZ: ...Which is like a toy show? HOLMES: No, it was the - used to be the Sporting Goods Manufacturing Association. RAZ: OK. This was in - what year was this? HOLMES: This was 2000 - January of 2003. I went to see what the reaction would be. RAZ: So you brought - you built one, and you displayed it there? HOLMES: We built one. We took a prominent spot at the show. We hired some dancers from Siegfried and Roy (ph) to be our jumpers along with my daughters - my youngest daughter and her three friends. And we just said, like, this is go big or go home. HOLMES: Well, I would have said it was pretty small. I think that we had measured that we thought that the trampoline market, that maybe it was a $500 to $600 million trampoline market globally. RAZ: OK. So you were looking for a bite out of that $500 to $600 million. HOLMES: I've never been greedy. A small business can be a good business. HOLMES: I guess we took a philosophy internally which was to think big but start small. And so we tried. RAZ: And what was the reaction at the show? Like, what did people say to you? HOLMES: Well, it was really quite amazing, actually. We had lots of different reactions. The first we had was from a retailer who came up and said, well, you can't sell this in America. You don't have an enclosure. And I said, well, hold on. An enclosure isn't mandatory. They said, yeah, but no retailer will sell a trampoline without an enclosure. And then I had somebody come up to me and said, you know, I have a patent on the enclosure. And you'll never sell this product in America, ever. RAZ: ...Because I have the patent on the enclosure. HOLMES: ...On the enclosure. And then I had the - at the time, the CEO from what was a very large sporting goods retailer come up to me and said, you know, this may be the most innovative product we've seen at the show in years. RAZ: So you walk out of that show. And what are you thinking? HOLMES: It's not dead. It's not dead. So I decided to invest in some fundamental research. And I wanted to ask myself one question - did any retailer in America believe that trampolines were dangerous - so dangerous that they wouldn't sell them? RAZ: What was the answer? HOLMES: The answer was yes, and that was Costco. The CEO of Costco was a man named Jim Sinegal. And Jim said, I will not sell trampolines. RAZ: So at what point did you say, all right, I'm going in? We're going to get this. We're going to buy the patent and production rights. HOLMES: I think we were finished - we had - I was advancing all of this very quickly. I think, contractually, it was all locked up by, probably, May of '03. RAZ: And what did it cost you? HOLMES: To be honest, Guy, I wouldn't even remember the number. RAZ: More than a million dollars? RAZ: More than a million dollars to buy the patent? HOLMES: To buy everything. When everything was all said and done and all the settlements with the university, I think it was it was probably close to that, yes. RAZ: OK. So, Keith, you are a professor at the university. You come up with this invention. They sell the patent to Steve. And, presumably, you get a check for it. ALEXANDER: Yes, the arrangement with the university was that whatever he paid would be split three ways. So I got a check. That was huge for me. RAZ: And I'm curious - at this point, did you - I mean, did you have to deal with the fact that, you know, the rights are sold to someone else, and now, like, this guy, Steve is going to make it and, like, go run with it? ALEXANDER: That's right. That was a very sobering moment for me. And I thought, yeah, OK. I guess that's the way it is. I guess I can let it go now. I don't feel like it, but I guess that's the way it goes. There's a check coming, and I've got to think of other things. And then Steve says, I'm going to need a bit of a helping hand because I don't have any trampoline engineers. So do you mind giving me a hand with this? Give me some technical input. I said, yeah yeah, fine. OK.
HOLMES: Yeah, and that came in fairness. You know, Keith and I had a conversation once about risk and reward. And so I asked him, what level of risk are you willing to take versus the economic rewards you expect? And he said, well, I have - I don't want any risk. HOLMES: I don't want any risk. And so we reached an agreement at that point as to what his role would be and how he would be compensated, and so it was good. RAZ: OK. So, Steve, you are running the business from Canada. And, Keith, you are still in New Zealand consulting on the, I guess, on the engineering side. RAZ: So what was the next step? HOLMES: Well, Keith and I created the Springfree enclosure, and we kept looking at all of the principles of our design and said, it better be soft. RAZ: Oh, so you had left that convention in Las Vegas determined that you had to solve this problem - that if you were going to make this thing as safe as possible, it had to be enclosed. HOLMES: That's it. And we decided that we would give ourselves a deadline, and the deadline would be the January Super Show, which was to be held in Orlando, Fla., in January of '04 - the 2004 Super Show. RAZ: And what - by the way, what made the enclosure different? How were you able to create this thing that was safe? ALEXANDER: So Steve said - we've now got a relationship with the people who make the pole - treated fiberglass. You've got to make the poles out of those same material. And I said, well, they need to be strong enough to hold this net up. So that's all I can - we can try it. I had a postgrad student who needed some money, so he's working in our backyard. We've got at least 12 of these around the trampoline fitted on and tied the top of them together with some cord. Let's see what happens when we put a net on. So I said to this postgrad student, you've got to spend the next few days finding some sort of net. Talk to all the fishermen people around the place. See if we can get some net. And after about four days, he'd come back with some fishing net that he latched on there at the top and the bottom, so it was more or less like an enclosure and, in a sense, different than the ones that were out there. But it was this really flexible thing. And so then when I came home from university and the kids were still on it, they were bouncing off the walls. They were running into it and bouncing off. And I'm thinking, hey, this is really something we didn't expect. We've got a new play surface here that other trampolines don't have. We've made a rubber room now. This is way better than I expected. It's not just a safety net. This is another play surface. HOLMES: Go to the Super Show in Orlando, Fla., and they had a competition there, which was called the product of the year, basically. And if you got to a finalist or the top 10, you would be displayed in a specific area of the Super Show, independent of your booth. So we made all the applications necessary, and we became a finalist. RAZ: This was the unveiling of Springfree. RAZ: And how did you do? How many - did you get any orders? HOLMES: Well, we got one important order by Costco Canada. HOLMES: They decided, OK, if we do it in Canada, there doesn't seem - it's not as litigious. They're all really nice people there. They don't seem to sue each other. Maybe we'll try it in Canada. And they put a test in for - in essence, it worked out that we put in a test for 400 pieces. RAZ: Let's try selling these in Canada. So they put in an order for 400 units? HOLMES: Yeah, we had about - the first order was 400 pieces on a trial. RAZ: And by the way, where were you manufacturing them? In New Zealand? HOLMES: Well, these first 400 units we made, I guess, 480 or 490 - I think something like that - in New Zealand. ALEXANDER: With one container load. HOLMES: At that time, the retail price - we put it out to Canada - was $999. RAZ: Just to clarify something - this was, at that time, going to be one of the most expensive trampolines, right? So it was a big risk, and you had to make the case that this was worth the cost. HOLMES: Yeah, I mean, our value proposition when we had that very first product at Orlando is the same as what is today, which is that we provide the world's safest trampoline. We produce it out of the highest-quality materials. We give the longest warranty - it's a 10-year warranty on everything. It's still that today. And so that was what we kept selling on the retailer side. HOLMES: It was more than that. We were losing money on every product. HOLMES: We had to do that to find out if we could create a market. RAZ: All right. So they roll them out in Costcos in Canada. And how did they do? HOLMES: Moved very fast, very, very fast. RAZ: So did they put in a second order? HOLMES: Well, because we'd put it on a test and that was the spring of that year - of '04 - the next recurring order wasn't going to really take place until their next spring buy, which was '05. So then it was, oh, crap, what do we do between now and then? RAZ: Yeah, because you got to generate some revenue. RAZ: And you're still making these in New Zealand, which is presumably expensive. HOLMES: And so we knew we couldn't continue. And one of the things that had materialized at the Super Show in '03 - 2003 - I said to you that I had people come up to me with various things - I had an individual come up to me with a business card who said, I manufacture sporting goods in China. If you ever need a manufacturer, call me. HOLMES: And when we reached the stage with Costco at the end of '04, we said - OK. We got to to make the call. RAZ: Which I have to assume was going to be an important move - right? - because it was going to reduce your costs pretty significantly. RAZ: Because in China, everything's copied - not everything but a lot of things are. HOLMES: It is. It is. You have to be careful. And we had to be careful. And the other thing is that the rods that Keith had done were really - they were all about technical know-how. And - so we weren't prepared to move that. So even to this day, most of the original manufacturing components - the rods and the net material that we use, we're using the exact same manufacturing partners. They've come a long way. The whole way - through the whole journey, we've never deviated from that. But we moved all of the steel and a hundred percent of the labor associated with producing and assembly into China. RAZ: All right. So 2005 - you got to wait till 2005 for this next big order. How many people were on your payroll at that point? HOLMES: Well, I think at that point, we - between our engineering group, our sales teams, we might have been 35. RAZ: And you're burning through cash. HOLMES: Yeah, we were burning cash. We were hanging on. You know, I was running my payables long. We were hanging on for that Costco delivery in spring '05. HOLMES: Worked out to be about 3,265 pieces in '05. HOLMES: Yeah, it felt good. RAZ: And - but you needed to finance that - right? - because they don't pay you first. They pay you, like, 90 days later. HOLMES: No, they pay us after. That's right. So we - I hit the street and (laughter) found somebody who bought into a Costco PO. RAZ: Oh, so this is somebody - and this is interesting. This is somebody who looks for people like you who get a purchase order from Costco, need financing to actually make the product. And they'll loan you the money at a high interest rate. HOLMES: At a high interest rate, yeah. RAZ: That was your lifeline. HOLMES: It was our lifeline. And it - to be - fairness, to this day, it is the reason we survived and thrived. HOLMES: Oh, no. We weren't profitable. RAZ: You still had a long road to go. HOLMES: No, we weren't profitable - but it proved that we - because Costco represented a much bigger animal than just Canada. We went from Costco Canada to Costco U.K. 'cause U.K. was viewed as being safe. And we had to go from Costco Canada to Costco Japan, which made no sense to us. We didn't really know what we were going to do in Japan. But we ended up selling 370 trampolines in Japan through Costco. And then we got to go on costco.com, their e-commerce, new platform for them - not in-store - in 2007, I guess it was. RAZ: So Costco is, up until this point - up until 2007, your biggest contract? HOLMES: Virtually in the northern hemisphere and our only. We were selling direct in places where we could, but they were basically 90 percent of our distribution. RAZ: Wow. So you are now in this thing. 2008, they stop. They stop selling the trampoline. RAZ: Inside a Costco's (ph)? HOLMES: Inside of Costco's. And Mr. Sinegal was - he opened every Costco. HOLMES: And so when he walked into the Halifax store, I get a phone call from the president at the time of Canada Costco, and they said we're done. HOLMES: ...Going to change the face of everything. And so we had been - we opened that factory in October of 2008 and - all in preparation for our 2009 with Costco. And on May 13, we were told we're done. And it was just 'cause they had gone overboard in that store. They had made the trampoline one of the single biggest highlights in this grand opening in Halifax, and he was just - pissed. HOLMES: Yeah. He was just pissed. RAZ: Because it was so present and visible, he walks in there and says, what is this trampoline doing in the center of my Costco? HOLMES: That's it. Those are the exact words. I don't think he really knew. I think we were below the radar. HOLMES: We were doing great numbers. We were doing great numbers for sporting goods. And so I was told, if you need to talk to Mr. Sinegal, you got to call him on a Saturday morning in Seattle. I was given a telephone number to his direct dial to his desk. HOLMES: And on the Saturday morning, shaking in my boots, I called. He was extremely polite. He shared his reasoning within reason. And he said, I've made my decision, Mr. Holmes, but I will honor any purchase orders that we have issued up until the end of this month. So any purchase orders that are issued up until the end of the month, we'll honor those purchase orders. And I hung up the phone. And I went - oh, crap. And my next call was to every Costco buyer I could find. Give me a PO (laughter). Give me a PO. Give me a PO. RAZ: Because you knew you had a month left. HOLMES: ...I had 14 days and POs took longer than that to get, usually. RAZ: Wow. So what'd you do? HOLMES: Well, it was really good business skill learning session. I stepped back. And I said, OK. We have a product that has unbelievable safety, quality and innovation characteristics. We have customers who love our product. I mean, our best marketing is an existing Springfree customer. HOLMES: If a Springfree customer has a Springfree trampoline - if a parent who says, well, I really don't like trampolines, they'll sell it for me to all their friends and neighbors. And 50 percent of our sales came from our customers. So we said, wherever Springfrees are in backyards, we have to make it really easy. And our biggest market at the time, based on Costco delivery addresses, was California and Seattle. So we opened our own first Springfree retail store on the off-ramp of the Costco headquarters. HOLMES: Well, this was in late 2009. RAZ: ...Could jump on them. HOLMES: We called it the Springfree Experience Center. And that store proved to be phenomenally successful. HOLMES: We were blowing the doors off the profits. And we were just going - like, there wasn't - I think there were very few retail stores that were doing the profit per square foot that we were doing out of that store. HOLMES: ...Every fair. They went to every neighborhood. They connected with the communities because we knew where we had shipped. So we had - you know, we had these - whether it was a pop-up store or whether it was a permanent Experience Center, we went to consumers. We went out there. We did the shows. We had the stores and showed that there was a business model which was different than Costco. And so we took a direct-to-consumer model. And we used Keith as the face of the organization. So he was the one who conveyed the story, the attributes and the commitment to safety and quality. RAZ: So Keith, how did you, like - so all of a sudden, like, you've got to represent this product - right? - to the world. You got to do media interviews; you got to do TV. Like, you are a self-described introvert. I can only imagine that was somewhat torturous for you to do. ALEXANDER: And I'm thinking, right. This is a big deal. This is not just one or two little afternoons. So it was one of the scariest weeks of my life really. So I end up in Toronto in this big studio and find myself with three cameras there and lights, people all around and microphones in front of me. And they said, all right. Well, just talk. ALEXANDER: Yeah. So I talk. And then they say, well, you come across really genuine. You know, it's - you really come across well. RAZ: And how did it come out? ALEXANDER: It was OK in the end. RAZ: So here's my question for you. I mean, it sounds like you were actually expanding pretty fast at this point. HOLMES: Yeah. We were over 400 employees. RAZ: How did you - what I'm trying to understand is, how did you expand to that number of employees when, just two years before that, Costco pulls out? HOLMES: Well, you know, sometimes you do stupid things. And what we did is we decided to - we could've gone home when Costco pulled out. But we actually went deeper. So we increased our commitment in the factory in China. We increased our direct strategy. We increased our ability to open in direct retail stores. RAZ: Did you have to raise money? HOLMES: Fortunately enough, we had been reasonably wise. We had been saving for those expansion opportunities and rainy days. So we needed to raise - we probably invested maybe $5 million to $7 million in the factory construction and then a couple more million in some other stores. And I think we had a debt raise of about, at the time, $3 million. RAZ: But I have to assume 2009 - even maybe 2010 - were tough years. HOLMES: Yeah. They were very, very tough years. But we didn't stop investing. We kind of said, like, you know, this was that risk. We kept thinking that that opportunity - the big, big opportunity - was just ahead of us. RAZ: When did you start to see that light? HOLMES: ...Well, I give lots of credit to Keith. His design was always flawless. So that issue of safety that we kept talking about - we now had eight years of experience. So instead of saying, we're the world's safest trampoline, but we've only sold 2,000. You know, we were actually saying, well, we've got - there's a couple hundred thousand trampolines out there, and we actually have statistics now. And Keith started writing research papers and measuring our statistics. And we were going, you know, we remove 90 percent of the product-related injuries. So he's taken his design, has removed 90 percent, and so we got that message out - Keith's videos and the way we distributed them. And we got traction. And we got real traction. RAZ: How much does a Springfree trampoline cost today? HOLMES: Well, we have six different sizes, so it ranges anywhere from probably $1,600 to $2,400. RAZ: So this is a premium product. I mean, this is a very - an investment that you're going to make for a while. HOLMES: Yeah. Keith always said that when he put a Springfree into somebody's backyard - and I've agreed with him, and we've continued - that it should be - that's it. They paid the money. It should go in the backyard. There should be zero maintenance costs. And there should be zero, you know, support costs. So in other words, if they've got a problem, we back it. So we have a 10-year warranty on the whole product. RAZ: And how many do you sell on average of a year now? HOLMES: You know, we look at, you know, our - probably 30,000 is our annual volume. And we build our business model around that. We've had years that have gone much higher, and we've had some years that have been a little lower based on some of the economics. I mean, we opened a factory in 2008. We lost Costco, and there was a global financial crisis. I can tell you that wasn't the best year. HOLMES: So we had a tough - you know, we had a tough year - that might have been a 18,000-piece year. RAZ: I can only imagine those first four, five, six years. It was nonstop, just nonstop hustling, working, trying to get this out to market, calling people, getting rejected, people saying to you, what? - a trampoline? Who is this? What are you talking about? No, they're not safe. And is it still like that today? HOLMES: You know, for some of our staff, there's no question. But it's fun. Like, I got to tell you, you know, you want to be in a fun business? Be in the trampoline business because there's never been a circumstance where - when the mom and dad have - see their kid on the trampoline for the first time after they've made a Springfree purchase that they don't go, wow, this is great. Most people don't know we exist. But when they see us, they go, oh, I get it. RAZ: Do you have a trampoline at the headquarters in Toronto? HOLMES: Yeah. Every one of our offices has trampolines. Absolutely. And we, you know - they're constantly being used in various forms. RAZ: Do you do, like, board meetings on your trampoline? RAZ: Do people just synchronize their bouncing? HOLMES: ...Trampoline company. So yeah. RAZ: So do you consider yourself to be lucky that, you know, this business has managed to become, you know, sustainable? Or do you think it's because of your intelligence and hard work? HOLMES: Well, I don't know about the intelligence part. But out of due respect for the employees of our organization and for my wife and my kids who suffered through the early days, this has been about hard work. I was very fortunate to meet Dr. Keith Alexander. But being fortunate was about a lifelong friend that I got. RAZ: And, Keith, what about you? Do you feel lucky that all this happened? Or, I mean, do you think it's just a product of your persistence and perseverance and grit? ALEXANDER: It's both of those. Of course, it's both of those. I do feel very lucky to have met someone like Steve who's been prepared to be very persistent. One of the ways I like to think of it, for me, the invention process is my part of it - is that it's like having a child. The moment of conception is quite exciting. And then you carry it, and you feed it for years. And eventually, it starts to meet people of its own. And then you get less control, less and less control, and who your child meets and where they go and how they grow up. There's not very much in your control at all. There's a lot of luck there. So in that sense, I've been very lucky as Steve's taken over the part to get it to the customers. So it's doing pretty well. RAZ: That's Keith Alexander, inventor of the Springfree trampoline, and Steve Holmes, the CEO of Springfree. Keith is still a professor of mechanical engineering at the University of Canterbury in New Zealand, and he also teaches product innovation. According to the company, Springfree has sold over 400,000 trampolines worldwide. RAZ: And please do stick around because in just a moment, we're going to hear from you about the things you're building. But first, a quick thanks to our 2019 HOW I BUILT THIS lead sponsor, Campaign Monitor. Campaign Monitor - making email marketing radically easy, so the big thinkers can focus on developing big ideas. Try it for free at campaignmonitor.com. Campaign Monitor - make your emails and your business unforgettable. Hey. Thanks for sticking around because it's time now for How You Built That. And today's story starts in the winter of 2015. Cyndi Hileman had just moved to Toledo, Ohio. It's where her husband, Chris, grew up. And Cyndi was having a hard time. CYNDI HILEMAN: Just feeling super - almost, like, depressed about the winter. CHRIS HILEMAN: For her, moving from Florida to Ohio is kind of a bit of a culture shock. CYNDI HILEMAN: Yes. It's so gloomy. RAZ: Being from Florida, Cyndi needed warmth and light. So she started buying lots and lots of candles, which meant lots of leftover candle containers. CYNDI HILEMAN: If they were in glass jars, I would hold onto them. CHRIS HILEMAN: Some of them were in a drawer. Some of them were up in a cabinet. We'd buy candles and say, OK, this is in a really nice pot. We can use it to put our Q-tips in. We can use it for something around the house. CYNDI HILEMAN: But the ones that I would buy in ceramic containers - I would normally put a plant in it. And we have tons of houseplants. RAZ: Now, this went on for two winters - cold weather, candles, candle containers. And by March of 2017, there was one big change. Cyndi had become a stay-at-home mom, which was great - except for the weather. So one day, a friend sent her a card to cheer up. CYNDI HILEMAN: I was wondering why it had so many, like, little bumps and dots on it. RAZ: Those bumps and dots were actually seeds. They were embedded in the paper. And instead of throwing the card away, Cyndi could soak it in water, put it in a planter and grow wildflowers. CYNDI HILEMAN: I just thought it was the coolest thing ever and almost felt lucky to have it (laughter). RAZ: Now, around the same time, Cyndi found a bluish-gray planter pot, and she really wanted to use it. CYNDI HILEMAN: Oh, I could put some candle wax in this and just try and make a candle. CYNDI HILEMAN: You just bought me a $30 candle last week (laughter). RAZ: That's when they got another idea. They could make a candle in a planter pot and then use that paper with the seeds embedded in it for the label. CYNDI HILEMAN: People would be able to grow wildflowers after they're done with the container, so they don't have to throw it away. RAZ: So they got to work. CYNDI HILEMAN: We had no idea what we were doing. We were just watching a bunch of YouTube videos, different Pinterest ideas on DIY - how to make a candle. RAZ: It took two months of melting wax all over her basement, but Cyndi figured it out. And then Chris said, OK. We think it's a good idea, but will it actually sell? So they went to a trade show to find out. CHRIS HILEMAN: I was really blown away by how emotionally invested people got into our product. CYNDI HILEMAN: A lot of the guys - they would have their girl with them - be like, this is a cool product, isn't it? Do you want one? (Laughter). RAZ: And that day, they sold every single one of their candles and covered all their expenses - and made a thousand-dollar profit. CHRIS HILEMAN: It was also a couple of days' worth of work. RAZ: And that was enough reason for Chris to consider quitting his banking job because Chris and Cyndi had been thinking about starting a business together for years. CHRIS HILEMAN: So we were in a really good financial position to be able to take this type of step. So it really didn't feel very risky to us at all. RAZ: And so Chris left his job and joined Cyndi in their basement. They took $4,000 out of their savings to buy wax, wicks, pots and seed paper. And they made 850 candles. And over five months, at more than a dozen trade shows, they sold every single one of them. CHRIS HILEMAN: I mean, it's backbreaking work going to these trade shows every weekend because, number one, we don't have a weekend. We're working really long days. And when we get back it's, OK - we have to make a ton of candles, so we can be ready for next week and the next event. RAZ: Over the past year, Chris and Cyndi moved their business online. They got a $50,000 loan to scale up. They hired some employees and even moved their little candle-making factory out of their basement. But as married business partners, they're still struggling to find the right balance. CHRIS HILEMAN: Having the business out of our home for the past year has been a huge difference. We just pick, you know, two or three nights out of the week. Like, OK, these two or three nights after Adeline (ph) goes to bed, we're going to work on our business. And the other nights, it's just about us. We're not going to talk about business. And it's going to be all about family. RAZ: So far, founders Chris and Cyndi Hileman have sold more than 12,000 Growing Candles. If you want to find out more about them or hear previous episodes, head to our podcast page, howibuiltthis.npr.org. And, of course, if you want to tell us your story, go to build.npr.org. And thanks so much for listening to the show this week. You can subscribe wherever you get your podcasts. And while you're there, please do give us a review. You can also write to us at hibt@npr.org. And if you want to send a tweet, it's @HowIBuiltThis. Our show was produced this week by Casey Herman, with music composed by Ramtin Arablouei. Thanks also to Julia Carney, J.C. Howard, Nour Coudsi, Neva Grant, Melissa Gray, Sanaz Meshkinpour and Jeff Rogers. Our intern is Candice Lim. I'm Guy Raz, and you've been listening to HOW I BUILT THIS.